Hello there and Happy Sunday to you! 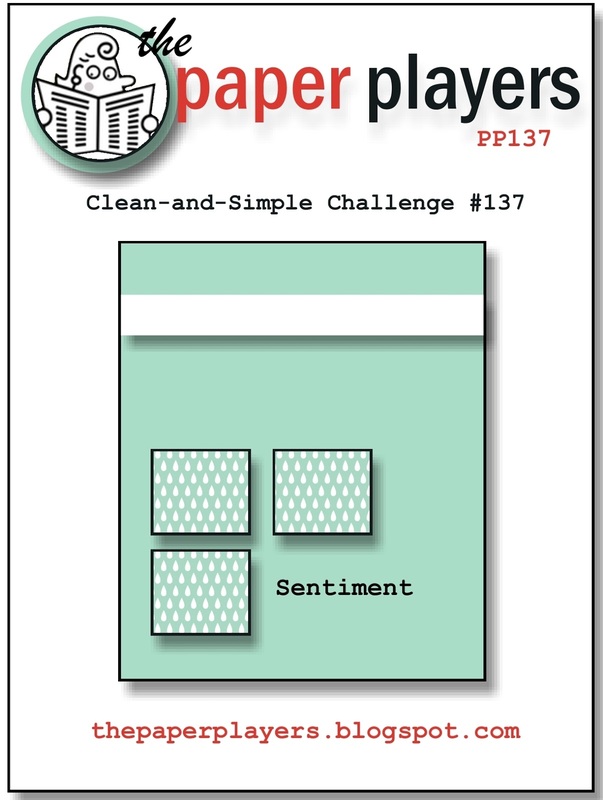 This week at the Paper Players, the amazingly awesome Ann Schach is our hostess with a CAS (clean and simple) sketch to try. This sketch has SO many possibilities! I know this is going to be one I use a lot! I needed a card for a friend simply to tell her how great she is, so I pulled out two of my favorite things, Melon Mambo card stock and Silver Glimmer paper, and got to work. I added some dimension with the embossed elements and popped up the punched pieces as well. I love the little chevron pattern on the heart...I am obsessed with chevrons lately. All of the supplies I used are listed at the end of this post. Before I go, I just wanted to share a photo of my boys all decked out and ready to celebrate St. Patrick's Day today! Aren't they cute? Your colors are fabulous together! Love the black ribbon! And I love all of your Irish lads! Don't you have the most patient pooches around?! How sweet they look dressed as leprechauns, lol! love your card. The touch of glimmer paper is genius and the black/pink combo is so chic! Love it all, my friend! Oooh-la-la! Love this rich color combo....and all layers are gorgeous! And your pets are so adorable! Absolutely awesome! This card so "Anne Marie"...sparkly and pink! 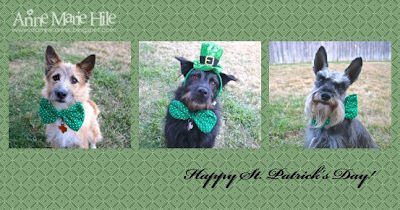 And the boys look adorable all decked out for St. Patrick's Day! Love the card! Black and any red are great! I love the picture of the boys!! 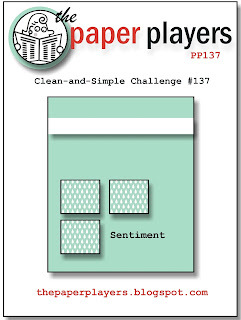 Oh my gosh, I wanted to comment on your Paper Players card but I got so distracted by your boys! How adorable, and what a great card! 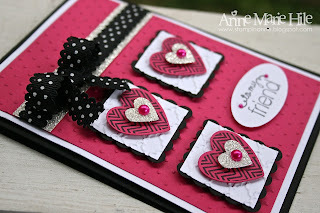 Ok now, love your sparkly layered hearts card with it's great colors. Thanks for reminding me that this set is not only for Valentines Day! Very pretty! Love the colors and the sparkly goodness on this! And how handsome are all of your boys in their St. Paddy's finery! I love the card, but "The Boys", now they are worth commenting on! So cute! And you gotta love that Schnauzer's ears!!! I've got 1 with ears like that too!